On a highway in California, the converted Lexus SUV was rear-ended by another vehicle from behind, says the iPhone manufacturer. 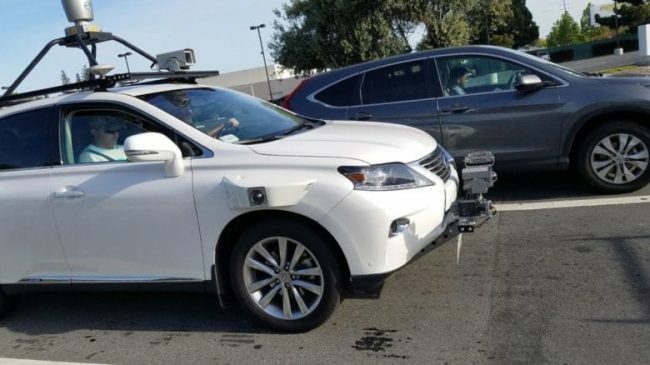 A self-driving car owned by Apple was involved in an accident, California’s road authority has confirmed. The car, a modified Lexus RX450h with autonomous sensors, was rear-ended by a human driver in a Nissan Leaf. Humans were unhurt, but the machines suffered moderate damage, said the iPhone maker in an accident report. The incident took place this month near the company headquarters in Silicon Valley. An Apple spokesman confirmed the accident report, but gave no further details. Apple has permission in California to test self-driving cars. At least 5000 employees of the group are to work on a program for the development of autonomous vehicles. In several media reports it was said that Apple could take over the electric vehicle manufacturer Tesla. Google parent company Alphabet, Tesla and automakers such as Ford have long been approved for robot car testing in California.